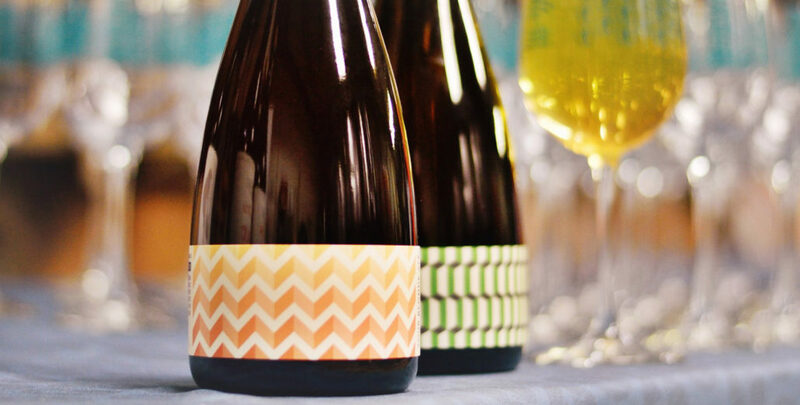 Asheville, NC – Hi-Wire Brewing will officially be rolling out its Sour & Wild Ale program Saturday, November 19, 2017 at 12:00pm at their South Slope Speciality Brewery with a bottle release of its two first sours, including a Sour Blonde Ale and Wild Rye IPA. Over the course of the past year, Hi-Wire’s South Slope Specialty Brewery has fully transitioned from brewing a wide variety of one-time-release ales and lagers to brewing exclusively sour and wild beers. After one year of experimenting with limited releases from their Single Barrel Series and one-off batches of wild-ales, Hi-Wire Brewing is excited to announce the official release of its first two sours that will be hitting all four of the states they distribute in on Monday, November 21. The Sour Blonde Ale (7.65% ABV) was aged in American oak red wine barrels before being bottle conditioned. It displays aromas of citrus rind and hay from brettanomyces with faint berry, pineapple, and oak. This classic American-style sour exhibits notes of bright acidic stone and tropical fruit, subtle brett funk with a clean, dry finish. Bottles will be $17. The Wild Rye IPA (6.75%) is a lively, tropical India Pale Ale blending rye spice, dank mango, and pine notes from American hops, with the rustic character of house brett. Aged for 6 months before being bottle conditioned, this wild ale has a medium body that finishes with a soft bitterness and lasting notes of tropical fruit & funk. Bottles will be $13. Receive five sour and wild ale releases per year, that are custom beers for RingMaster members. No other customers will have access to these beers. These special release beers are included with your VIP membership and there is no additional cost to get them. No shipping; all beers must be picked up from our South Slope Speciality Brewery (197 Hilliard Avenue). RingMaster members are entitled to a barrel tasting of in-progress sour beers with our brewers once during the year. 15% off all Hi-Wire Brewing merchandise purchases in either taproom with membership ID card. Free admission to any Hi-Wire event with membership ID card. One-of-a-kind embroidered Hi-Wire Brewing t-shirt. RingMaster members will receive one VIP member Teku glass. The opportunity to purchase bottles and cans of ALL releases one day prior to the public release date. About Hi-Wire Brewing Located in Asheville, NC, Hi-Wire Brewing is known for producing approachable and balanced lagers and ales, most notably Hi-Wire Lager, Bed of Nails Brown, and Hi-Pitch IPA. They have two locations in Asheville: the 27,000 square foot Big Top Production Brewery & Taproom located half a mile from the Biltmore Estate and the South Slope Specialty Brewery & Taproom located in the South Slope region of downtown. Hi-Wire was awarded the most medals at the 2014 NC Brewer’s Cup and was named Best New North Carolina Brewery of 2013 by RateBeer. Most recently, the Zirkusfest Oktoberfest Lager won gold at the 2016 Great American Beer Festival® in the German-Style Maerzen category. Their award-winning beers can be found on draft and in bottles across North Carolina, South Carolina, Tennessee, and Georgia.